Paper Back : 172 Pages. Size 26 x 19 cm. 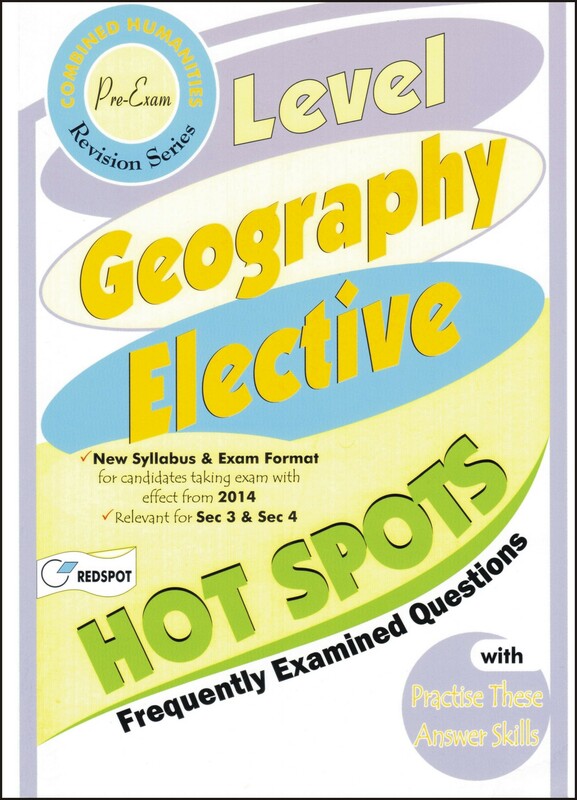 About this book : This book aims to meet the needs of candidates who will be sitting for their GCE O Level Geography Elective Examination with effect from 2014. In this book, candidates can refer to PRACTISE THESE ANSWER SKILLS, HIGHEST LEVEL OEQ ANSWER and SUGGESTED ANSWER for quick learning and hopefully score better grades in the coming examination. The aims of Geography Elective are to enable students to develop an understanding and acquire knowledge of: 1. the characteristics and distribution of physical and human phenomena; 2. physical-human relationships; 3. the processes affecting the physical and human environments. Candidates are also able to develop: 1. skills in acquiring, communicating and applying geographical knowledge; 2. an informed concern about the quality of the environment and the future of the human habitat, and thereby, enhance the sense of responsibility for the care of the earth and its people; 3. awareness of contrasting opportunities and constraints which people race in local, regional and global environments.